Advances in Cellular Neurobiology, Volume 1 discusses the topographical anatomy and functional relation of the brain and spinal cord. This book is divided into three main sections—cell differentiation and interaction, aging and pathology, and methodologies. The topics discussed include specializations of non-neuronal cell membranes in the vertebrate nervous system; effects of neurohormones on glial cells; cerebellar granule cells in normal and neurological mutants of mice; and age-related changes in neuronal and glial enzyme activities. 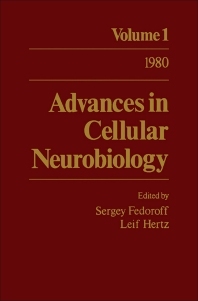 The glial fibrillary acidic (GFA) protein in normal neural cells and in pathological conditions; in vitro behavior of isolated oligodendrocytes; and biochemical mapping of specific neuronal pathways are also deliberated in this text. This publication is intended for neurologists, but is also beneficial to students researching on the central nervous system.